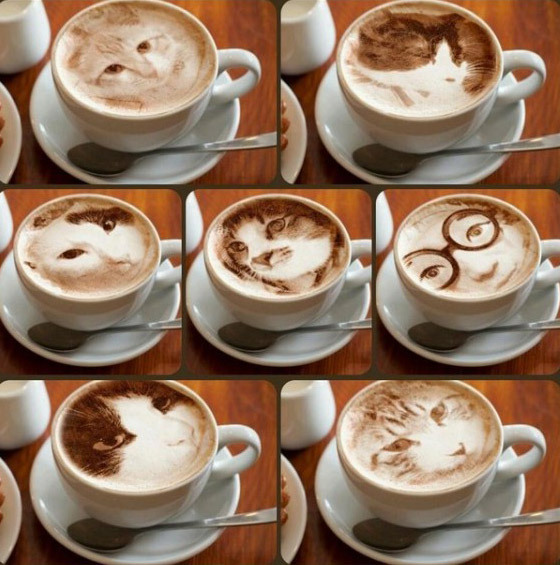 “Coffee Art” isn’t something new in Japan. 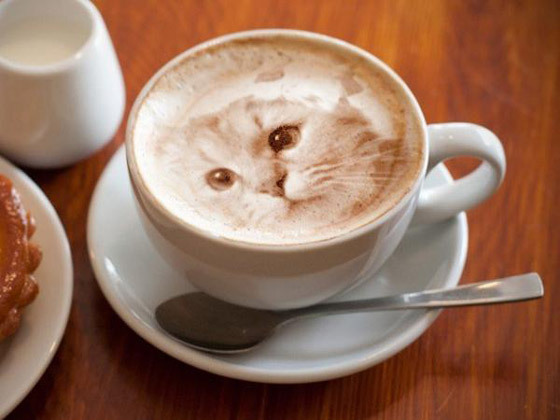 Not matter it is 3D Cute Foamy Sculptures or 2D Anime Swirl Art, those Japanese artists are really good at playing with formy milk and create stunning latte art. 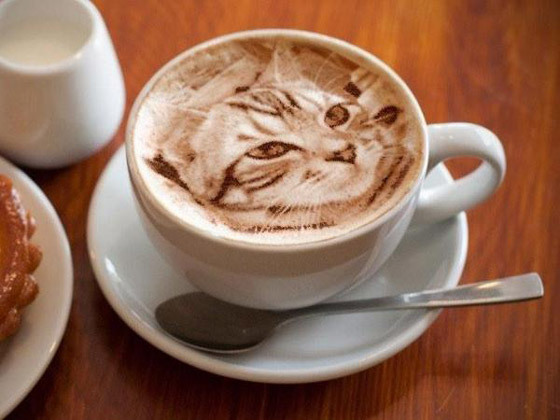 Today, we will introduce you another set of amazing latte art “Latte Cat”, spotted by Twitter user @dongurinekobei. 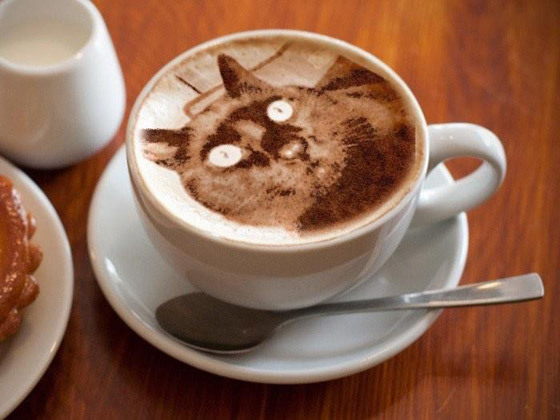 These extremely-detailed cat drawings showcase subtle changes in shading, glints in the felines’ eyes, and remarkably thin whiskers, which is definitely not something you can expect from your coffee. It is just so real that you don’t even want to destory it by sipping the coffee. Sorry to burst the cat-&-coffee-art-lovers’ bubbles, but those are definitely photoshopped. The reflection in the teaspoon and on the pastry on the side is identical in every shot. You could argue that the lighting didn’t change, but in my experience with food photography, even if you try your best not to disturb the setting, you definitely will, and that means the teaspoon would have been bumped several times, resulting in the reflection changing, at least in a couple of shots, if not all.